For millions of people throughout the world, Tibet evokes rhapsodic images of His Holiness the Dalai Lama, landscapes surrounded by snow peaked mountains, cheerful nomads, and charming monks. The situation on the ground in today’s Tibet, however points to a harsher reality: a land occupied by China for over 50 years, countless number of lost lives, a culture in danger of disappearing. A level of repression reaching such intensity that 143 Tibetans to date have set themselves ablaze as a political form of protest since 2009. Yet, despite incredible challenges concomitant with a rising China, Tibetans remains undeterred in their determination to nd a peaceful resolution through dialogue and “genuine autonomy” with the People’s Republic of China. 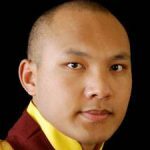 Referred to as “Middle Way”, this approach was originally envisioned by His Holiness the Dalai Lama with overwhelming support from the Tibetan people. 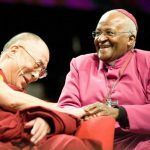 While he is globally known for his constant e orts for universal peace based on our shared humanity, the Middle Way Approach (Umaylam in Tibetan) is part of his legacy to the world for peaceful con ict resolution--how to look at con ict through di erent principles such as dialogue, non-violence and a win-win proposition. e Tibetan situation illustrates how this approach is applied in a real life con ict situation. Its success bears global implications in an age where there is violence and growing popular discourse on the importance of peaceful con ict resolution. What happens to peace if longstanding non-violent political movements fail? e case of Tibet challenges the world to garner the courage to live by those principles when faced with an increasingly assertive China. In the last few years, we have witnessed and are encouraged by growing awareness and support for the Middle Way Approach. To reinforce this development, we have created this dedicated web site with new succinct documents and video (Brie ng Note, Timeline, FAQ), to begin with, based on existing materials on the Middle Way Approach. Help us amplify our message of peace by sharing these documents within your network. The Central Tibetan Administration (CTA) is deeply committed to the Middle Way Approach and will continue to build upon the foundation laid by previous administrations so that freedom may soon be restored in Tibet. New Delhi: The Department of Information and International Relations (DIIR), CTA, organized two-day workshop on Middle Way Approach for Tibetan College Students. 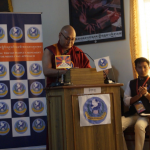 It was carried out from 23 – 24 January at Tibetan Youth Hostel, New Delhi. The Workshop was aimed to enhance awareness on Umaylam among Tibetan College Students through interactive discussions and activities. Over 15 Tibetan Students from different colleges in Delhi took active participation. 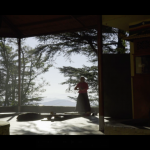 Dharamshala: The Department of Information and International Relations (DIIR) of the Central Tibetan Administration today released a film titled ‘Umay Lam: Middle Way-The Way Forward.’ Umay Lam in Tibetan means the Middle Way Approach. The Middle-Way Approach is proposed by His Holiness the Dalai Lama to peacefully resolve the issue of Tibet and to bring about stability and co-existence between the Tibetan and Chinese peoples based on equality and mutual co-operation. Dharamshala: The Middle Way Apprach Desk of the Department of Information and International Relations imparted a two-day Training on Umaylam (Middle Way Approach) for CTA’s new recruits. The training was carried out from 17-18 December at the New Administrative Centre of CTA in Khanyara, Dharamsala. A session with expert Sonam Norbu Dagpo, Secretary, International Relations, DIIR, delved into an interactive question and answer session that helped clear the queries and doubts raised by the participants. Dharamsala: Nestled within the thick foliages of greeneries, College for Higher Tibetan Studies, Sarah, Dharamsala, saw the convergence of first-ever Young Tibetan Thinker’s Conference on Middle Way Approach by Global Tibetan People’s Movement (GTPM) for Middle Way Approach on an idyllic Sunday of 21 October. Speaker of the 16th Tibetan Parliament-in-exile, Ven. Khenpo Sonam Tenphel attended the inauguration as the ‘Chief-Guest’. New Delhi: The Department of Information and International Relations (DIIR) of Central Tibetan Administration (CTA) today launched a flagship tri-lingual report titled ‘Tibet Was Never A Part Of China But The Middle Way Approach Remains a Viable Solution.’ The report published in Tibetan, English and Chinese languages, was unveiled by Prof. Anand Kumar, Socialist and Reformer, and Dr. Lobsang Sangay, President of CTA, at an event held at India International Centre. Addressing the select gathering of scholars, experts, academicians, diplomats and journalists, Prof.
*Thubten Samphel is director of the Tibet Policy Institute, a research center of the Central Tibetan Administration. Views expressed here do not necessarily reflect those of the TPI. In the summer of this year, Tibetan NGOs in exile held two meetings here in Dharamshala. One was a meeting of Tibetans who advocate independence for Tibet. The other was a meeting of Tibetans who support the Middle-Way Policy, of Tibet enjoying genuine autonomy within the scope of the constitution of the People’s Republic of China. Dharamsala: In a first, the Middle Way Approach Desk of Department of Information & International Relations, CTA is organising a ‘Training of Trainers on Empowering Champions of Dialogue’ for members of Tibetan NGOs from across India. 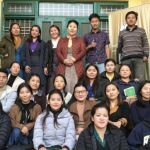 The three-day training for trainers program began today at the Tibetan Administrative Training Centre for 30 personnels from various Tibetan organisations including the Tibetan Women’s Association, Regional Tibetan Women’s Association, Dotoe Association, Ngari and Global Tibetan People’s Movement for Middle Way Approach. 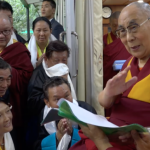 Dharamshala: While granting an audience to members of Ngari Chithun Association at his residence in Mcleod Ganj on 22 August 2018, His Holiness the Dalai Lama spoke about the Middle Way Approach. “Tibet was a free country and never has been a part of China according to many Chinese scholars and intellectuals,” affirmed His Holiness. His Holiness iterated that, in fact, Chinese documents show that Tibet, China, and Mongolia were free countries with their own distinct kingdoms in the 7th, 8th and 9thcenturies. 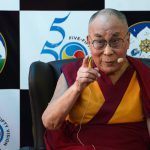 DHARAMSHALA: 67 Chinese scholars, activists, policy experts, journalists and individuals from across the globe have signed a Letter of Solidarity, expressing support for the Middle Way Approach of the Central Tibetan Administration and called on the Chinese government to resume dialogue with His Holiness the Dalai Lama. 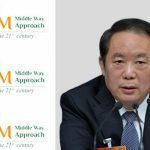 The solidarity campaign titled ‘Chinese stand in support and solidarity with the Middle Way Approach’ was initiated by Professor Ming Xia, City University of New York on 20 May. 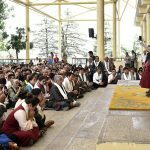 May 30, 2018 DHARAMSHALA: “The Middle Way Approach is the most practical approach and mutually beneficial to both the Tibetan and Chinese,” said His Holiness the Dalai Lama in his meeting with delegates of the first international conference on Umaylam, Middle Way Approach at Tsuglagkhang today. “The guiding spirit of the Middle Way Approach is the pursuit of a mutually acceptable and mutually beneficial solution through dialogue, in the spirit of reconciliation and compromise. April 3, 2018 WASHINGTON DC: Kunga Tashi, the Chinese liaison officer, Office of Tibet, Washington, DC discussed CTA’s Middle Way Approach and His Holiness the Dalai Lama’s principal commitments with students and faculty of University of Rochester on 31 March. Attendees of the event were thoroughly engaged and asked questions regarding the Tibetan Issue. Kunga Tashi, in his talk, said that the Tibetan issue involves both the Chinese and Tibetan communities and that it is vital to bridge the gap between the two. 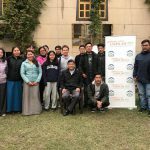 December 20, 2017 DHARAMSHALA: A two-day awareness workshop on Middle Way Approach was carried out from 19-20 December for students aspiring to join the Central Tibetan Administration and currently undergoing pre-staff training at the College for Higher Tibetan Studies, Sahra. The workshop was organised by Department of Information and International Relations (DIIR), Central Tibetan Administration. The workshop is based on an interactive, activity-based learning and information sharing with regard to the relevance of Middle Way Approach as a realistic conflict resolution strategy. President Dr Sangay further raised awareness on the Middle Way Approach of the Central Tibetan Administration and highlighted the need to resume dialogue with China to resolve the Tibet issue during his United States Visit. December 8, 2017 WASHINGTON DC: Continuing his lobbying visit to Washington DC, CTA President Dr Lobsang Sangay met with several high profile US Congressmen from both houses of the US Congress on the second day of his visit. President Dr Lobsang Sangay today met with Senator Tom Cotton, one of the closest senators to President Trump. 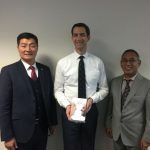 Senator Cotton has been close to the Tibet issue since his freshman days as a member of the US congress and has met President Dr Sangay over four times in less than five years to discuss the Tibet issue and ascertain the situation inside Tibet. Dec 1, 2018 DHARAMSHALA: A two-day training for trainers program has begun at Nyatri hall for 17 personnels from Department of Information and International Relations (DIIR), Central Tibetan Administration. The inaugural session of the workshop was attended by DIIR Secretaries Sonam Norbu Dagpo and Dhardon Sharling. In his inaugural remarks, Secretary Sonam Norbu Dagpo spoke about the importance of having an in-depth understanding of the Middle Way Approach, as it’s the official policy of the Central Tibetan Administration to resolve the Tibet issue. 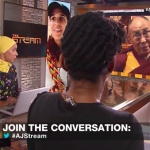 November 8, 2017 Dharamshala: Tibetan spiritual leader, His Holiness the Dalai Lama on Tuesday, joined in conversation with The Stream, a daily TV show on Al Jazeera English during his second day dialogue with youth leaders of the United Nation’s Institute of Peace, USIP. In the Live interview, His Holiness The Dalai Lama declared Tibet was “not seeking separation” from China, but was instead “very much committed to remain within People’s Republic of China, provided they give us certain rights, mentioned in the Chinese constitution” and those be “fully implemented on spot. November 7, 2017 Taipei, Taiwan: The seventh annual International Conference on Tibet organized by the Taiwan Office of Tibet in collaboration with the Taiwan Tibetan Welfare Association was held at National Memorial Museum. The conference expressed support for the Middle Way Approach of the Central Tibetan Administration. 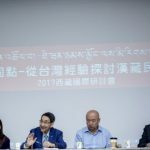 Titled “Finding Common Ground – Looking at the Tibet Issue from the Taiwan Experience”, the conference featured presentation by scholars, experts and activists from the United States, United Kingdom, Hong Kong, India and Taiwan. Prof.
October 18, 2017 DHARAMSHALA: His Holiness the Dalai Lama graced the second day of the Five-Fifty Forum organised by the Department of Information and International Relations (DIIR) of the Central Tibetan Administration (CTA) on 7 October at The Pavilion in Dharamshala. One of the participants of the Five-Fifty Forum brought up a question regarding the Sino-Tibet dialogue. 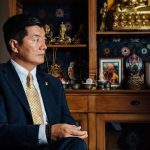 October 14, 2017 Lobsang Sangay, President of the Central Tibetan Administration in Exile, was in Mexico last month to drum support for CTA’s Middle Way Approach that seeks genuine autonomy for the region within the framework of People’s Republic of China. In an interview with Reforma, Mexico’s largest selling newspaper, Dr. Sangay affirmed: “We proposed to the PRC a win-win initiative which gives the Tibetan people genuine autonomy, as guaranteed in the Chinese constitution. September 21, 2017 Dharamshala: The President of Central Tibetan Administration Dr Lobsang Sangay reaffirmed Kashag’s unwavering commitment to the Middle Way Approach to resolve the Tibet issue. 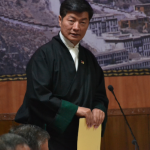 Speaking at the ongoing fourth session of the 16th Tibetan Parliament-in-Exile Dr Sangay pointed out that the Kashag has promulgated the viability of the Middle Way Approach at every possible forum. September 19, 2017 DHARAMSHALA: The 4th session of the 16th Tibetan Parliament-in-Exile began today, expressing grave concerns at the deteriorating situation of human rights and religious freedom inside Tibet. In his opening remarks, Speaker Khenpo Sonam Tenphel noted the massive development projects taking place in Tibet at the cost of Tibet’s fragile environment. 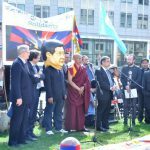 June 22, 2017 BRUSSELS: Member of European Parliament Pier Antonio Panzeri also the Chairman of the Subcommittee on Human Rights of the European Parliament, expressed concerns over the grave human rights situation in Tibet and called on the Chinese government for the resumption of the Sino-Tibetan dialogue. 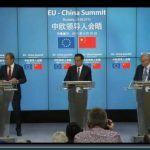 Pander’s statement came to light In a press release issued this morning,on the occasion of the 35th EU-China Human Rights Dialogue currently underway. 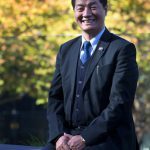 May 1, 2017 The president of the Tibetan government-in-exile, Dr Lobsang Sangay, wants Kiwis to support the Tibetan fight for autonomy from China. Click to watch video “New Zealand got its freedom supported by others, and the values that it fought for, the basic values of democracy and human rights, are the values that we are fighting for,” said Sangay, who is on his first visit to New Zealand. 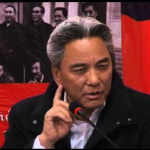 “Now I am here to seek the support of the people of New Zealand to fight for the same basic rights for Tibet. 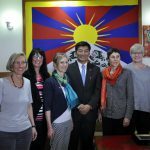 March 29, 2017 Dharamshala: Sikyong Dr Lobsang Sangay yesterday received a six-member delegation of Swiss parliamentarians at the Kashag secretariat and discussed important issues on Tibet and the geopolitical concerns associated with the Tibet issue. The Tibetan political leader urged the MPs to support China-Tibet dialogue based on CTA’s Middle Way Policy. He pointed that the Middle Way Policy calls for genuine autonomy for Tibetan people under the PRC, and does not contradict the One China Policy. 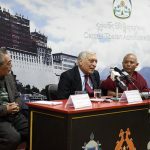 March 24, 2017 Dharamshala: “His Holiness the Dalai Lama’s agenda accepts Tibet to be part of China but that Tibet must have genuine self rule and respect for Tibetan autonomy, which is a legitimate demand,” Former Foreign Secretary Kanwal Sibal said yesterday, in an interaction with members of Tibetan parliament and officials of Central Tibetan Administration. 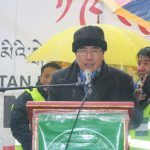 March 15, 2017 New York: At the commemoration of the 58th Tibetan National Uprising Day in New York, Dr Ming Xia, Professor at New York University and an endearing friend of the Tibetan people expressed his support for the Middle Way Approach, advocated by His Holiness the Dalai Lama and said that he was willing to ‘a messenger of His Holiness the Dalai Lama’s Middle Way Approach.’ “His Holiness the Dalai Lama’s approach on the “middle way” is sincere, serious, and not an expedient measure. 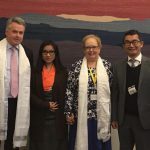 February 15, 2017 London: The Office of Tibet London organised a weeklong official visit of Dhardon Sharling, Secretary of Department of Information and International Relations (DIIR) from February 4-12, 2017 to United Kingdom. The weeklong engagements aimed to strengthen academic discourse, advocacy for and political engagement on the Tibet issue in light of the changing international political climate and shifting positions of governments on China. 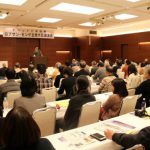 February 13, 2017 TOKYO: The Tibetan political leader Dr Lobsang Sangay urged the Japanese government to support the Middle Way Approach of the Tibetan people towards seeking genuine autonomy for Tibet as it does not contradict China’s sovereignty and is a win-win solution for Tibetans and Chinese. “We are seeking genuine autonomy for Tibet through non-violence and Chinese government can’t say no to this. 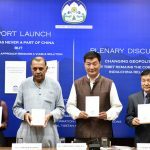 December 17, 2016 NEW DELHI: The Central Tibetan Administration today launched a report titled ‘Tibet is Not a Part of China but Middle Way Remains a Viable Solution.’ The flagship report which is CTA’s comprehensive report on the situation inside Tibet under Chinese occupation was published today in three languages- Tibetan, English and Chinese. 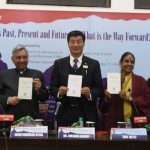 Along with Sikyong Dr Lobsang Sangay, former diplomat and MP, Shri Mani Shankar Aiyar attended the release of the report held at the Constitution Club of India, New Delhi. October 12, 2016 In the 14th annual report to Congress on the status of Tibet negotiations, the US government has reasserted promotion of substantive dialogue between Beijing and the Dalai Lama or his representatives as its long-standing important foreign policy objective. Noting the state of dormancy in the dialogue since 2010, the report says that the US is concerned by China’s insistence on “unreasonable and unattainable conditions in order for China to resume dialogue. 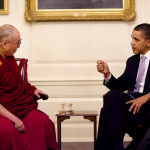 June 16, 2016 WASHINGTON D.C: US President Barack Obama met His Holiness the Dalai Lama in the Map Room of the White House on 15 June 2016, despite stiff objections from the Chinese government. During the forty-five minute meeting, His Holiness the Dalai Lama expressed his condolences to the President over the Orlando shooting tragedy and emphasised his commitments to promote compassion, empathy, and respect for one other. They also discussed the critical political situation of Tibetans inside Tibet and the implications of environmental degradation on the Tibetan plateau. 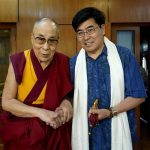 May 27, 2016 By Varinder Bhatia, Indian Express, 27 May 2016 Dr Sangay, who has led the 150,000-odd Tibetan diaspora since 2011 when the Dalai Lama relinquished his political power, won more than 57 per cent of the almost 60,000 votes polled. 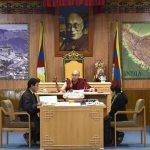 The re-elected political leader of Tibetans in exile – Sikyong (Prime Minister of Tibetans in exile), Dr Lobsang Sangay on Friday declared that the “Middle Way” policy proposed by the 14th Dalai Lama Tenzin Gyatso, will remain as the official policy of the Central Tibetan Administration. 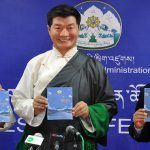 August 12, 2015 DHARAMSHALA: Sikyong Dr. Lobsang Sangay today released a new documentary on Middle-Way Approach (MWA) in Tibetan language and a mobile app for Tibet TV. The video and the mobile app are made by the Audio/Visual section of the Department of Information and International Relations (DIIR). The Secretaries of DIIR, Mr. Sonam Dagpo and Mr. Tashi Phuntsok were present at the release function. 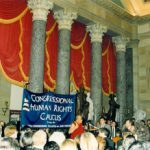 July 10, 2015 The House of Representatives of the US Congress passed a unanimous resolution on Wednesday, 8 July calling on China “for substantive dialogue, without preconditions, in order to address Tibetan grievances and secure a negotiated agreement for the Tibetan people”. The resolution also honours His Holiness the Dalai Lama on his 80th birthday. The resolution was passed after a discussion on the situation inside Tibet. The Resolution was introduced on 24 June 2015 by Congressmen Eliot Engels, Matt Salmon, Jim McGovern and Joe Pitts and had 29 original cosponsors. 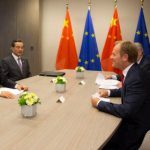 July 1, 2015 Mr. Donald Tusk, President of the European Council called on China to resume dialogue with Representatives of His Holiness the Dalai Lama at the joint press briefing of the EU-China summit in Brussels on 29 June. Click here to watch. “I expressed our concerns on freedom of expression and association in China, including the situation of the persons belonging to minorities,” said Mr. Tusk. “I have encouraged China to resume a meaningful dialogue with the Dalai Lama’s representatives.” He made the statement in the presence of the Chinese Prime Minister Mr.
Business Standard, 30 June 2015 EU president Donald Tusk urged China today to restart a dialogue with representatives of exiled Tibetan spiritual leader the Dalai Lama. “I expressed our concerns on freedom of expression and association in China including people belonging to minorities including Tibetan and Uighur,” Tusk said at a press conference in Brussels with Chinese Premier Li Keqiang. “In that context, I have urged China to restart a meaningful dialogue with the Dalai Lama’s representatives. June 29, 2015 WASHINGTON, DC—Representative Eliot L. Engel (NY), the top Democrat on the House Committee on Foreign Affairs, and Representative Matt Salmon (AZ), Chairman of the Asia Pacific Subcommittee, along with co-Chairmen of the Tom Lantos Human Rights Commission, Representatives Joseph Pitts (PA) and James McGovern (MA), announced on 24 June that they have introduced a measure calling for meaningful dialogue and a negotiated settlement for the people of Tibet (H.Res. 337). 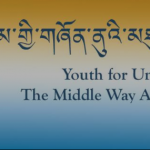 May 26, 2015 DHARAMSHALA: A group of Tibetan youths in Minnesota, United States, have voluntarily formed a Middle Way Approach advocacy group, Youth for Umaylam (Y4U) to raise awareness on Umaylam – The Middle Way Approach, the official policy of the Central Tibetan Administration to resolve the Tibet issue. The advocacy group was launched formally on 23 May 2015 at the community hall of Tibetan American Foundation of Minnesota based in St. Paul. The keynote speaker at the launch was Mr. Lobsang Nyandak Zayul, former Representative of His Holiness the Dalai Lama to North America. September 1, 2014 26-28 August 2014 Hamburg, Germany We, the Chinese conference attendees, comprised of writers, democracy activists, human rights lawyers from Europe, North America, Australia, Hong Kong and Mainland China participated in “Finding Common Ground”, a Sino-Tibetan conference held in Hamburg, Germany. We had the opportunity to listen to a keynote address by His Holiness the Dalai Lama and exchanged views on the issue of Tibet with Tibetan political leader Dr. Lobsang Sangay, Ms. Dicki Chhoyang, Kalon for the Department of Information & International Relations and Mr.
April 1, 2014 DHARAMSHALA: A top official of the European Union has reiterated call for dialogue to resolve the issue of Tibet as Chinese President Xi Jinping arrived Sunday in Belgium on his first day. 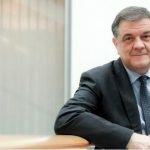 Mr Henri Malosse, President of the European Economic and Social Committee, also stressed the importance of raising the issue of human rights in China during Xi Jinping’s visit. 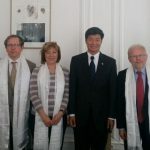 March 26, 2014 PARIS: Expressing deep concern over the human rights situation in Tibet, a group of French MPs urged President Francois Hollande to raise the issue of Tibet during his meetings with the visiting Chinese president. “Do not sacrifice the issue of Tibet and human rights for corporate affairs. 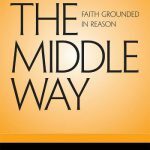 What is this “Middle Way” the Dalai Lama preaches? 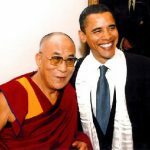 The latest meeting between His Holiness the Dalai Lama and President Barack Obama on February 21, 2014 has led to some developments, including in the Chinese Government asking the question, “What is this “middle way” the Dalai Lama preaches?” (via a Xinhua report on February 22). If the Chinese authorities feign to know this even after the past many years of dialogue with his representatives, I believe the answer can be got by looking at some outcomes of the Obama-Dalai Lama meeting. An international statesman was received at the White House on the 21st February to meet and discuss the issues of the day with President Obama. While this alone would not be cause for consternation, the identity of said statesman is a volatile one to say the least, a reputation he would abhor: it was His Holiness the 14th Dalai Lama. As usual, any state visit by the Dalai Lama produced mewling from the Chinese, who claimed that the visit would “…inflict grave damages upon the China-US relationship”. In the Strasbourg Proposal His Holiness the Dalai Lama outlined the main features of the Middle Way Approach as follows: “… The whole of Tibet known as Cholka-Sum (U-Tsang, Kham and Amdo) should become a self-governing democratic political entity founded on law by agreement of the people for the common good and protection of themselves and their environment, in association ‘with the People’s Republic of China. “The government of the People’s Republic of China could remain responsible for Tibet’s foreign policy. The President met this morning at the White House with His Holiness the XIV Dalai Lama. The President reiterated his strong support for the preservation of Tibet’s unique religious, cultural, and linguistic traditions and the protection of human rights for Tibetans in the People’s Republic of China. The President commended the Dalai Lama’s commitment to peace and nonviolence and expressed support for the Dalai Lama’s “Middle Way” approach. Edited Excerpts: Q: The Tibetans have been indulging in fresh round of self-immolations in protest against China’s rule in Tibet and in demand for more rights. Do you support this method of protest? What are your views on Beijing’s approach in dealing with Tibetans? Ans: Tibet is under Communist China’s totalitarian regime. Unlike democratic India, there is no religious freedom there. Many Tibetans including the illustrious heads of the different sects of Tibetan Buddhism had to flee to India following the Cultural Revolution. We’ve heard a great deal this week about the Dalai Lama’s ‘middle way’ political solution to the violence in his homeland. This political ‘middle way’ calls for Tibetan autonomy within China. But there is another middle way that has dominated the headlines this week. 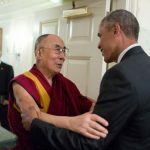 Separated by 40 years and 7,000 miles, Barack Obama and the Dalai Lama both embodied a stunning middle way approach to conflict resolution. The hallmark of this approach is a non-reactive and compassionate response to conflict based on a clearheaded assessment of its scope. 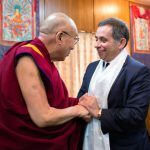 DHARAMSHALA, March 10: President of the European Economic and Social Committee, Henri Malosse, has expressed his support for the exile Tibetan government’s policy of Middle Way Approach to resolve the long-standing issue of Tibet with China. “Middle Way means to develop, to ask for more autonomy for Tibet not just because it’s pragmatic approach, but also because it is a realist pragmatic approach,” said Malosse at a press conference following the official ceremony of March 10, at Tsug-la Khang. Whatever is dependent arising We declared that to be emptiness. That is dependent designation, And is itself the middle way. —Nāgārjuna, Mūlamadhyamakakārikā In early 2011, I had the rare opportunity to attend a commentary session by His Holiness the Dalai Lama on Mulamadhyamakakarika (Verses on the Fundamentals of the Middle Way). 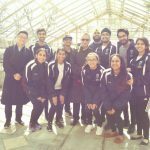 This opportunity effectively gave me an insight into my identity and consciousness which was otherwise unsettled due to being uprooted like many of my fellow young Tibetans worldwide. Tibetan Political Review: In the on-going discussions regarding Tibet”s status among nations, there are two main ideological perspectives – autonomy and independence. 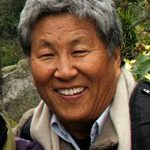 These two points of view have been debated, often acrimoniously, for over six decades, and yet a solution to the vexed Tibet question remains elusive. Invariably, the rhetorical gyrations have often generated more heat than light. Two unfortunate facts have, however, remained unchanged. One, the immeasurable suffering of Tibetans in their occupied country has indeed escalated. It is not unusual for Harvard to host a head of state. During one recent week, there were five on campus in five days. 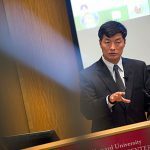 But it is unusual for Harvard to host the leader of a government in exile, as in Tuesday’s tightly guarded Tsai Auditorium lecture by Lobsang Sangay, LL.M. ’95, S.J.D. ’04. The 44-year-old Harvard Law School graduate is sikyong, or prime minister, of the Central Tibetan Administration, the government in exile’s top political official. The late afternoon talk was his first in the United States as a head of government and his first in a university setting. I wish to express my solidarity with the people of Tibet during this critical time in their history. To my dear friend His Holiness the Dalai Lama, let me say: I stand with you. You define non-violence and compassion and goodness. I was in an Easter retreat when the recent tragic events unfolded in Tibet. I learned that China has stated you caused violence. Clearly China does not know you, but they should. I call on China’s government to know His Holiness the Dalai Lama, as so many have come to know, during these long decades years in exile.